When you own a property, you are rolling the dice every time you sign on a new tenant. You hope the person will treat your home or commercial property like their own, but the unfortunate reality is that many do not. Some will actively damage your property, and others will do so through neglect. Some will cause havoc throughout the time they are tenants, and others will just leave a big mess when they leave. Ideally, you wouldn’t see any trace of a renter once they are gone. In reality, you are going to see some wear and tear of the property at a minimum, but you may also see a whole lot of junk left behind also. Some people might just leave behind the couch they planned on replacing anyway, but others might just leave everything if they’ve been evicted or if the property has been foreclosed. Basically, they either don’t have the time or the resources to move the items, or they leave them behind because they don’t feel like moving them. In some cases, they leave them behind to create a problem for the landlord out of spite. You can put whatever provisions you want in your rental lease, and you can charge whatever fees you like, but you will never prevent this problem entirely. You may minimize it, but somewhere along the line, you are going to have renters who leave you with a big headache with a lot of junk to get rid of on your own. Unfortunately, you have few options when you are left with a lot of trash. You can send a few people from your team (or hire a few for the day) to go into the house or office space and clean up all the papers, trash, and other debris left lying around. But what will you do if there is furniture or old office equipment? You will need to rent a truck, some dollies, and maybe a lot of other equipment to move it. The more specialized the items and the heavier they are, the harder it will be to move them. If some of the items left behind have hazardous materials – such as televisions, computers, refrigerators, or engines – you will need to take those to the proper recycling centers. You can’t just dump a refrigerator with Freon in the landfill. It’s actually against the law. So dealing with these items adds another layer of hassle. The best option for getting rid of junk that tenants leave behind is to hire professional junk removers near Palmer Township. These professionals will come in with the right equipment and tools to clear out whatever items are left behind, whether it looks like someone dumped the contents of their trash can all over the floor or someone left behind high-end, specialty equipment. The professionals will be able to clear out everything in a fraction of the time that you would be able to do it – and for less money than your time would be worth or than you would have to spend hiring a crew. New Jersey junk removal professionals also know how to dispose of items properly so that you are sure that you’re complying with all local, state, and federal guidelines. They will drain the Freon out of that refrigerator, take the electronics to the proper e-waste recycling location, and ensure that motor oil and other hazardous materials go to the proper locations. You can rest easy knowing that you are complying with guidelines and that you are not contributing to environmental damage. 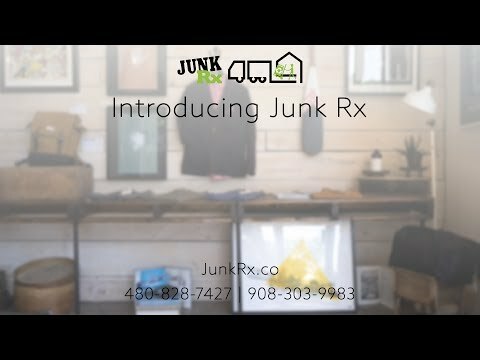 The professional at Junk Rx are trusted by residents across Washington Township and beyond. Our friendly and experienced team are skilled at removing all kinds of junk, and they have all the equipment and tools to do it safely and quickly. Every member of the team shows up in professional dress, and all trucks are clearly marked for safety and peace of mind. Our team has a well-earned reputation throughout New Jersey for our friendly service and dependable results. Call today to get a quote for your junk removal!